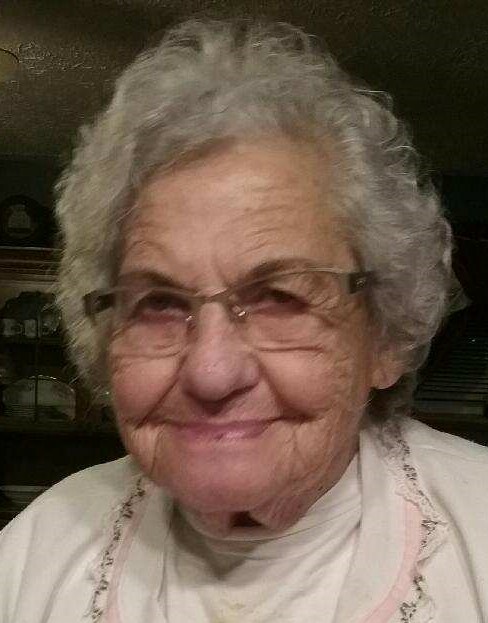 Rebecca E. "Becky" Cool, 89, of rural Ashland passed away on Friday, Feb. 1, 2019 at University Hospital-Samaritan Medical Center in Ashland following a long illness. Mrs. Cool was born in Olive Hill, KY on December 25, 1929, the daughter of the late Douglas S. and Letha E (nee King). She was a member of the Elm Street Free Will Baptist Church. She was a very active volunteer with the Salvation Army in Mansfield and enjoyed making hand tied blankets for relatives and friends and her weekly card playing with her friends. Mrs. Cool is survived by sons Robert G. (Susan) Cool, Jr, of Lorain, Randy G. (Holly) Cool of Raymond, grandchildren: Kristie P. LeMaster, Robb (Joni) Cool, Liza Neri, Molly Little, Alissa Saylor, great grandchildren: Kaitlyn LeMaster, Christian LeMaster, Robert S. Cool, Owen Smith, Madison Neri, Lexi Mckinnon, Maya Cool, Kael Neri, Robert G Cool, IV and Luke Little, sister Barbara (Ronnie) Thompson of Olive Hill, KY, Lee Ann Clay of Greenup, KY, many nieces and nephews and holding a very special place in her heart were: Bud and Louise Bond and Patty Lomax. In addition to her parents, she was preceded in death by her husband, Robert G. Cool, Sr, in 2002, a grandson: Michael R Cool in 2017, brothers James Clay, Steril Clay and Hearl Clay, sisters: Inez Bloomfield and Dolores Lykins. Friends may call on Wednesday, February 6, 2019 from 2-4 & 7-9 pm in the Werner-Gompf Funeral Home, 1109 Park Ave., E, Mansfield, Ohio 44905. Funeral services will be Thursday, February 7, 2019 at 11:00 am in the funeral home with Bro. Ronnie Conn, pastor of the Elm Street Free Will Baptist Church, officiating. Burial will be in the Vermilion Cemetery, Hayesville. The family suggest that memorial contributions may be made to the Ladies Group, c/o Salvation Army, 47 S. Main Street, Mansfield, Ohio 44902 or the Elm Street FWB Church, 41 Elm Street, Shelby, Ohio 44875.